Island Bamboo products are an earth friendly choice for your kitchen and home. The Island Bamboo brand is manufactured exclusively from sustainable materials, while incorporating innovative accents including non-toxic silicone, food safe lacquer and rainbow wood made from pakka wood. 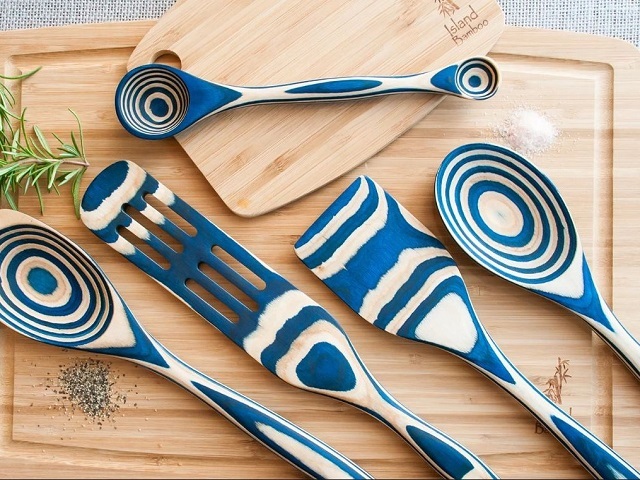 Island Bamboo thoughtfully produces products that inspire you in the kitchen to create beautiful meals using handcrafted tools that are as special as the food you eat.